CarGurus has 86,478 nationwide Equinox listings starting at $800. Plenty of interior cabin space, flexible configurability, and useful cargo capacity add family-friendly versatility to the powerful and comfortable 2009 Chevrolet Equinox. Longer than other compact SUVs, the '09 Equinox suffers from unwieldy maneuverability and a wide turning radius, and its flat back seat can feel hard and uncomfortable on long trips. Those looking simply for a roomy and comfortable family hauler should be pleased with the spacious cabin and flexible cargo utility of the '09 Equinox. It also houses a strong and responsive powertrain and a solid safety profile that should give owners a sense of security and confidence on the road. However, those looking for a more dynamic driving experience should be aware that the Equinox lacks the refined handling and quality fit and finish of other compact SUVs in this class. Placed in the midsize crossover SUV market, the 2009 Chevrolet Equinox competes directly with the Toyota RAV4, Honda CR-V, and Ford Escape, but it benefits from a much longer length and wheelbase, which create a more spacious cabin for both passengers and cargo. In fact, from all angles the Equinox looks more like a midsize SUV. It is also one of the few compact crossovers to offer a standard V6 engine, giving the Equinox confident power and strong towing capabilities. The Equinox is set for a redesign in 2010, so it sees minimal additions for '09. Satellite radio is now standard across the line, Bluetooth joins the options list, and buyers get three new exterior color choices. Most important is the addition of side head curtain airbags with rollover sensors, boosting the Equinox's already high safety ratings. This SUV seats up to five people comfortably in two rows. Ten trims include the LS, LT1, LT2, LTZ, and Sport, all available with either front-wheel or all-wheel drive. The LS and LT1 ride on 16-inch wheels, the LT2 and LTZ get 17-inch wheels, and the Sport upgrades to large and loud 18-inchers. The fairly new Sport trim features a sport-tuned suspension, a lower ride height, special badging, and alloy wheels. The midsize 2009 Equinox offers the cargo capacity and seating flexibility of an SUV with the handling of a sedan, leading Chevrolet to dub the SUV its first crossover vehicle. With five trims to choose from, front-wheel- or all-wheel-drive capabilities, and dimensions that exceed those of its closest competitors, the 2009 Equinox rightly attracts families needing an affordable SUV. Unlike other compact SUVs, such as the Honda CR-V, the '09 Equinox offers a V6 engine – and not just one, but two, both of which deliver a terrific range of power and instant acceleration response. 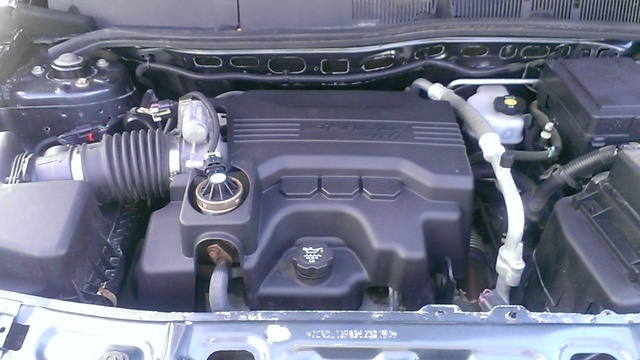 Standard for the LS, LT, and luxury LTZ trims is a 12-valve, 3.4-liter V6. Paired with a five-speed automatic, it puts out 185 hp and 210 lb-ft of torque at 3,800 RPM. The Sport trim, introduced last year, makes good use of a larger 24-valve, 3.6-liter DOHC V6. This powerhouse hits 264 hp and 250 lb-ft of torque at a low 2,300 RPM. This engine gets a six-speed automatic with manual mode and variable valve timing to help keep fuel efficiency comparable to that of the smaller V6. Both engines average around 17/24 mpg (or a combined 20 mpg) and can tow up to 3,500 pounds, although some critics say the 3.4 V6 struggles with heavy loads and starts to whine at high RPMs. Acceleration power shines in the '09 Equinox, easily besting most of the compact SUVs in its class, with critics coming away from test drives impressed with its off-the-line acceleration and passing power. The lack of a manual transmission disappoints those drivers looking for a more direct relationship with the road. Critics agree the 2009 Equinox drives more like a car than a boxy SUV, thanks to a four-wheel independent Macpherson strut front and multilink rear suspension. The ride predictably turns out to be fairly soft and floaty, good at absorbing bumps in the road, but lacking much in the way of driver feedback. The same can be said even for the sport-tuned Sport. Critics claim it lacks the sharp connectedness to the road and the precise handling expected from a firmer suspension, yet it transfers every dip and bump into the cabin, disrupting passenger comfort. Although owners claim easy maneuverability from their Equinox, critics say its 40-foot turning circle feels unwieldy around town and body lean is unsteady at higher speeds, even in the Sport trim. All trims but the Sport feature electric power steering, a fairly recent technology designed to make driving more effortless. It certainly achieves its goal, but reviewers say almost to the extreme. Steering ends up being too light and numb, and most critics find the traditional hydraulic steering in the Sport offers better responsiveness, a weightier feel, and more driver-road interaction. A few critics mention minor torque steer with front-wheel-drive models, while the AWD offers dependable traction and road grip on slippery roads. Off-the-line acceleration is unbelievably quick and responsive with both engines, and the cabin remains nicely insulated from most road and engine noise – that is, until you move up to the Sport trim, whose large 18-inch tires and larger V6 engine tend to be a lot louder. Some professional reviews prefer the non-Sport trims for this reason. Braking power is solid and confident. Thick rear pillars cause some rear visibility issues. In general, critics say the '09 Equinox falls short in terms of handling. Although it does drive like a car, it lacks the refinement and nimbleness of the CR-V or RAV4. The Equinox is both longer and taller than the Ford Escape, Honda CR-V, and Toyota RAV4, with a wheelbase that measures nearly as long as the midsize Trailblazer's. This results in a spacious interior that offers plenty of head and legroom to accommodate passengers over 6 feet tall. Headroom easily measures 40 inches throughout the cabin, with 41 inches of legroom up front and an unheard of 40 inches for back-seat passengers. In addition, the rear seats slide forward and back 8 inches to allow for extra leg or storage room, and they recline for added comfort. The second row fits up to three child seats. Cargo versatility is a major highlight of the '09 Equinox. Rear seats split 60/40, but do not fold completely flat, which can sometimes be a nuisance when loading. The front passenger seat folds flat to provide further space for longer objects. A roof rack is standard on all trims but the Sport, and the cargo area expands from 35 to 69 cubic feet. The cargo bay features tiedowns, a net, a storage compartment, and a handy adjustable shelf that doubles as a cover and a small table for roadside lunch stops. Oddly, the Equinox lacks adequate cabin storage, which is limited to small pockets, a tiny center console tray, and a small glovebox. Critics find the seven front and rear cupholders awkwardly located. Except for placing the power switches inconveniently on the center dash next to the shifter, the ergonomics of the controls and buttons feel generally simple, straightforward, and well laid out. Controls are large and easy to read. A classy alloy trim outlines gauges in all LS and LT versions, while the Sport outlines everything with a blue light and ebony trim. The steering wheel tilts, but does not telescope. Wheel-mounted audio and cruise controls come standard on LT trims and above, and a 6-way power driver's seat provides comfortable adjustment in the LT2, LTZ, and Sport. The Sport also features sport seats for extra bolstering during cornering. The rear seat's very flat and hard bench proves uncomfortable on long trips, according to both critics and owners. Reviewers generally agree that the '09 Equinox badly needs an interior update in terms of materials and fit and finish. Though the alloy and faux wood accents in some of the higher trims lend a subtly upscale feel, the use of cheap plastics and tacky cloth seats lacks sophistication when compared with the more refined and higher-grade cabins of its competitors. The base LS trim comes equipped with full power features, remote entry, cruise control, a CD player with MP3 jack and satellite radio, and a trip computer. The LT trims, labeled LT1 and LT2 variously add leather trim for the steering wheel and shifter, wheel-mounted cruise and audio controls, remote start, and a 6-way power driver's seat. 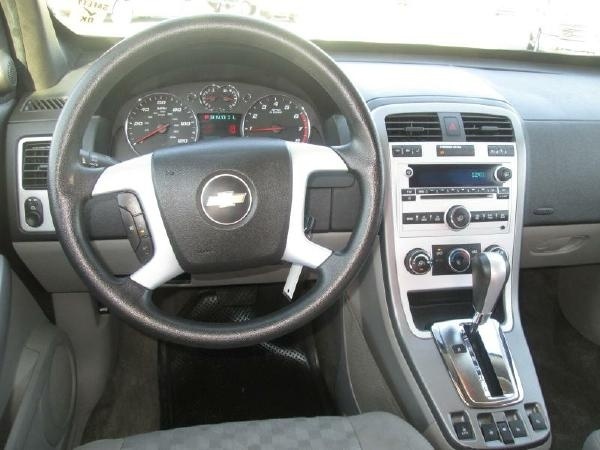 The high-end LTZ upgrades to leather upholstery, heated front seats, a 6-CD changer, and a Pioneer sound system. The Sport mimics the LT2. Options include a navigation system, rear DVD player, second-row audio controls, and a power sunroof on all but the LS trim. With standard traction and stability control, four-wheel disc and ABS brakes with electronic brakeforce distribution, and dual front-side airbags and side curtain airbags for both rows, the 2009 Equinox easily earns five stars in all NHTSA crash test categories, except for rollovers, where it earns a respectable four stars. Standard OnStar provides good emergency backup when needed. All trims feature automatic headlights, while the LT2, LTZ, and Sport add foglights. A tire monitor is also standard. As the 2009 Equinox targets young families, most owners give the crossover SUV high marks for its interior roominess disguised by a small, easy-to-drive exterior package. The quiet cabin feels comfortable, particularly for those in the back seat, say many owners. Another major highlight is the fuel economy of the Equinox, with drivers pleasantly surprised by its mid-20s highway numbers. Despite what critics say, owners find the handling and maneuverability very easy and tighter than expected, and the terrific powertrain delivers good punch without sacrificing a smooth ride. One driver gives particular mention to the AWD traction in snow. Negative comments focus on the discomfort of the back-seat bench. Its flat shape provides little cushioning and seems to pick up every bump in the road. 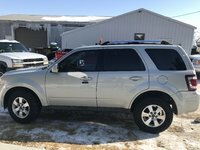 The '09 Equinox has not yet received reviews from CarGurus owners, but the similar 2008 model gets a lot more positive comments than negative ones. On the plus side are the exterior styling, the V6's acceleration power, and the spacious cabin. Fuel economy gets mixed reviews – some find it adequate, while others think it needs improvement. 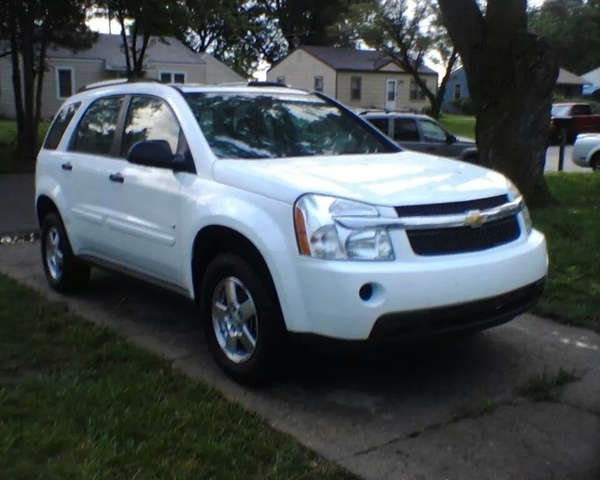 What's your take on the 2009 Chevrolet Equinox? Users ranked 2009 Chevrolet Equinox against other cars which they drove/owned. Each ranking was based on 9 categories. Here is the summary of top rankings. 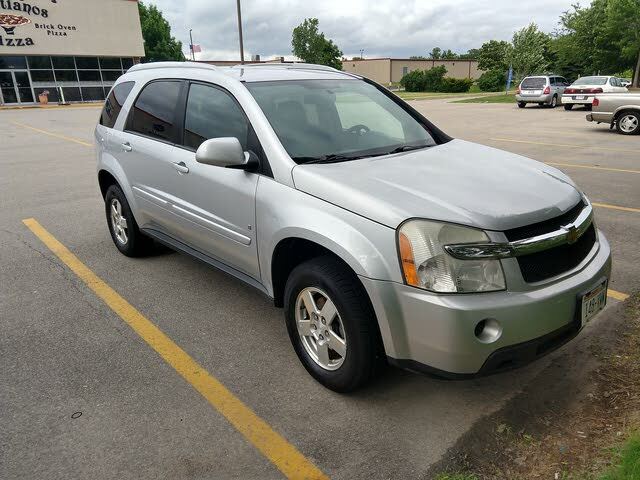 Have you driven a 2009 Chevrolet Equinox? I own 2009 Chevrolet Equinox and all the three lights, ABS, Brake and Traction Control light stays on. I have replaced ABS sensor, but no resolution. Sometimes it turns off and someimes it keeps running for no reason. I saw that GM used cheap wire which is why there are so many electrical problems. Any idea of how to fix it easily?